3 Bedroom For Sale in London for Asking Price £550,000. We are acting in the sale of the above property and have received an offer of £536,000. Any interested parties must submit any higher offers in writing to the agent before an exchange of contracts takes place. 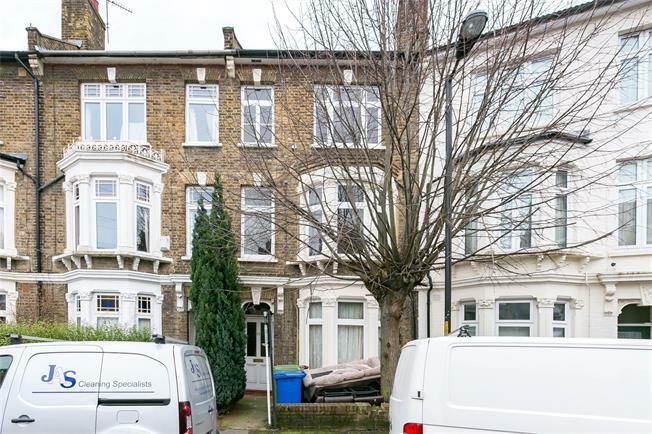 A fabulous, 3 bedroom flat in a converted Victorian house, spread over three floors. The flat is lovely and light with well proportioned rooms and stripped floorboards. The kitchen is a good size with plenty of space for a table. It has an open outlook down the road. Glengarry Rd is a secluded street in East Dulwich, opposite the new Charter School site. East Dulwich station is less than half a mile away with trains to London Bridge. Also within half a mile is Lordship Lane with its many shops, bars, restaurants and Picturehouse. The Dulwich Leisure Centre is 0.7 miles away.